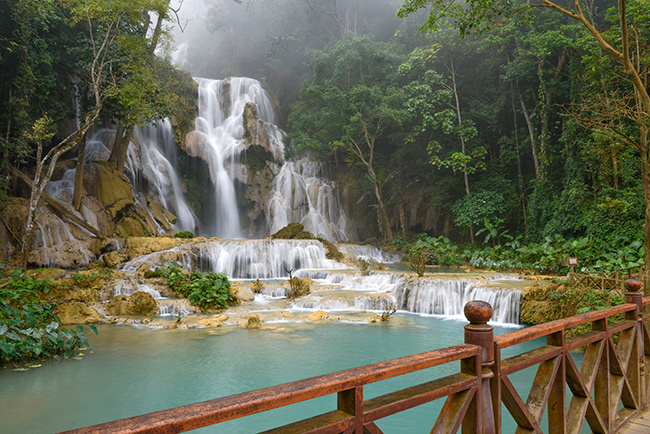 Luang Prabang in the Southeast Asian country of Laos is fast becoming a must-visit destination on the tourist trail. This stunning location is one of the best-preserved cities in this part of the world - its old town centre has been a UNESCO world heritage site since 1995. 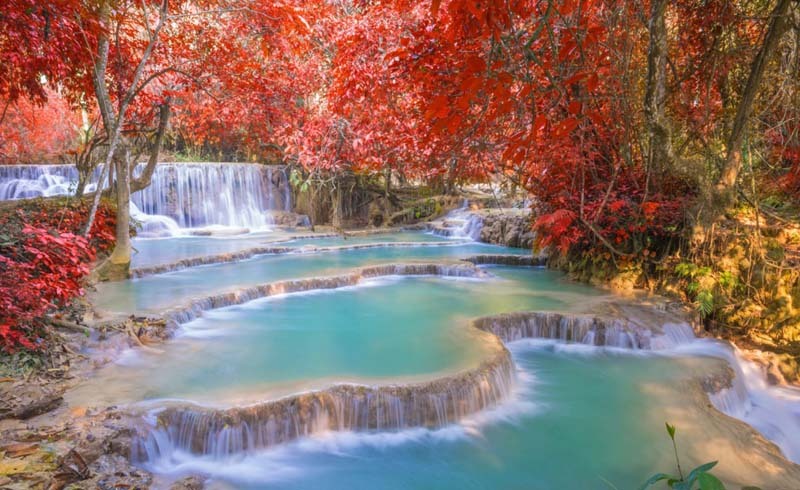 The former royal capital of Laos is built is on the confluence of two major rivers, the Mekong and the Nam Khan, and offers a rich mix of French colonial history, fabulous temples and monasteries. 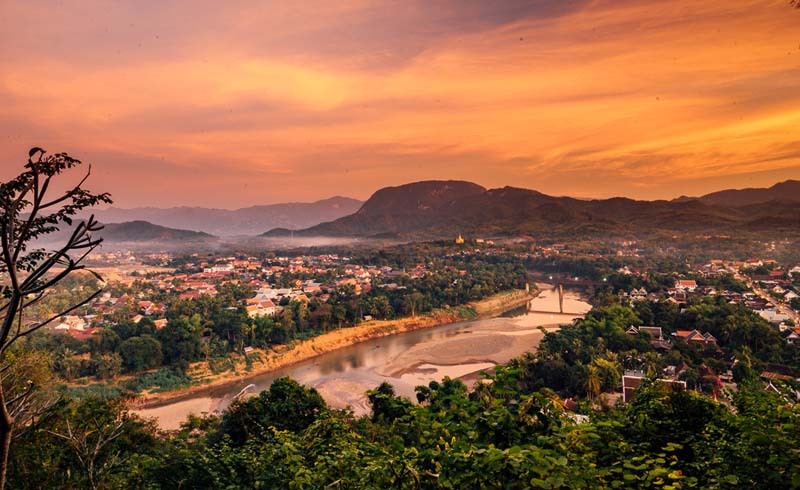 Formerly only a stop on the backpacker trail, these days Luang Prabang is becoming accessible to all thanks to the new airport - and it's definitely worth making the trip. Here's our pick of the here 9 things to do in Luang Prabang. Luang Prabang boasts over 30 temples (called wats). The most impressive and significant is the Wat Xieng Thong, once known as the Temple of the Golden City, which holds great cultural, historic and architectural importance. Wherever you wander you'll find temples to visit - some cost, some don't. The entrance fee at Wat Xiengthong's costs 20,000kip (just under £2). Another must-see destination is the former Royal Palace, now converted into the National Museum of Luang Prabang. Here you see fascinating displays of the opulence of pre-Communist Laos. 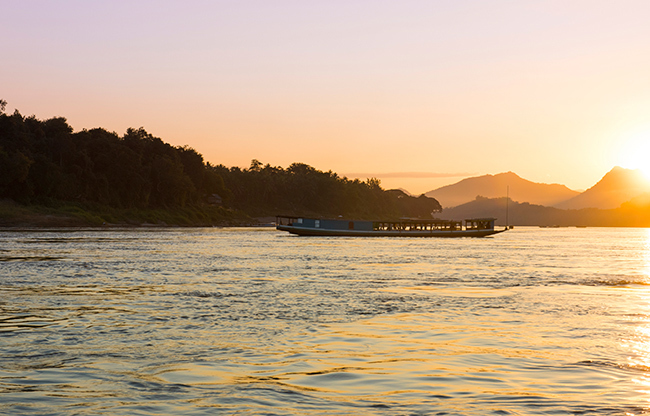 Go on a slow-boat cruise along the Mekong River. These waters have for centuries been the major highways in this region, carrying goods and people in and out of the city. Even today, boat traffic is a busy part of the Mekong. Enjoy the stunning views into the surrounding Lao landscapes, relax, grab a beer or sip fresh juices and cocktails. Luang Prabang night market is an amazing sight and offers an extensive collection of handicrafts, wood carvings, jewellery, clothing and more. Many stalls sell similar things so have fun haggling the price down, especially if you’re willing to buy in bulk. 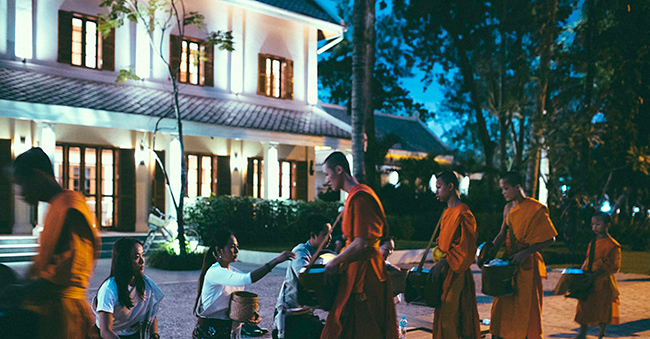 The Buddhist alms-giving tradition is a ceremony where hundreds of monks come out of the temples dressed in orange robes and walk barefoot through streets to collect alms. Starting early in the morning (around 5.30 a.m.), the monks are given food by those wishing to support them as they study and practice their Buddhist teachings. If you want to join in, you can purchase some food (usually sticky rice) at the local market, or ask you can ask your hotel to arrange it for you. If you decide to participate, dress appropriately and be respectful - this is a hugely important aspect of Laos' culture. Mount Phousi is a 150m tall hill (over 300 stairs to get to the top!) in the centre of the old town of Luang Prabang. At the top you are treated to a 360-degree view of the town and the golden pagodas. It's the perfect place to watch the sun rise and set over the Mekong River. This is a must for any visit to Luang Prabaang. To get to the falls, you will need to hire a driver or a tuk-tuk for the day - it's about a 40 minute journey from the town. But it's worth it! Once there, you can swim (in certain areas) in the stunning turquoise water and climb the steps to the very top of the waterfall for a simply amazing view. Slight warning - the water is pretty cold! As a bonus, there is also a bear sanctuary close to the entrance of the Waterfalls. All the bears who live here have been rescued from bile farms, illegal poaching and the wildlife trade. On the way back from the waterfalls you can stop off at the first Buffalo farm in Laos. It's a great example of a social enterprise helping farmers in Luang Prabang by providing various practical workshops for the local agricultural college and university, and training local farmers in basic animal husbandry, grass cultivation and biogas development. The guided tour of the farm is given by the co-founders and you get to meet the amazing animals, to feed, wash and even milk a buffalo. If you are brave enough you can try and take a selfie with one of the impressive beasts - despite being huge they're actually very friendly. And don't forget to try the buffalo mozzarella and the ice creams (lemongrass flavour was our favourite). Pha Tad Ke Botanical garden is a regional research centre housing the first living collection of the flora of Laos, with a strong focus on ethnobotany, research and education. The ticket entrance is around £20 and includes a short (15 minute) boat ride from town to get there. On arrival, you're given a quick overview of the gardens and some information on its history. There are various collections of plants, grouped by theme - the medicinal, those that ward off evil spirits, healing plants and poisonous plants. Even plants that elephants like to eat! All the vegetation is clearly labelled with informative descriptions. Make sure to visit the lovely café, it serves wonderful Lao food and drinks along with a free tea tasting. AVANI+ Luang Prabang hotel, converted from a bungalow built for the French military in 1914, is ideally located right in the centre of town and just steps from the Royal Palace Museum, Phousi Hill, the Mekong River and Luang Prabang night market meaning you are perfectly situated for all of the main attractions. 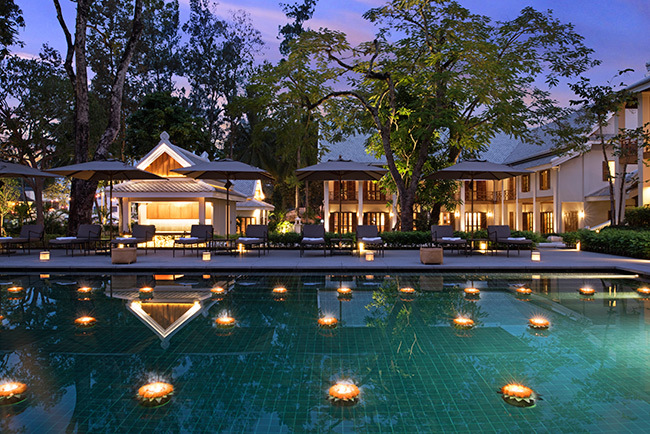 The hotel's design is in keeping with the city's UNESCO heritage, a mix of French neo-classical architecture combined with traditional Laotian design elements. With only two floors, rooms are filled with modern amenities such as bedside USB ports, international plug points and balconies equipped with day beds and arm chairs overlooking the 25m pool. The hotel has a gym and a spa to relax in after a busy day's sightseeing, including a dedicated manicure and pedicure area. The Bistro & Bar serves both Western and Laotian food options, and the restaurant's ingredients are often sourced from local farmers using traditional and organic farming and fishing techniques.